Xarelto's biggest current approved use is to prevent blood clots and strokes in patients with an irregular heartbeat called atrial fibrillation. The companies had sought approval from the U.S. Food and Drug Administration (FDA) to market the blockbuster pill for prevention of new heart attacks and strokes, and death, in patients with acute coronary syndrome (ACS), and also to prevent clogging of heart stents. ACS is an umbrella term covering any condition brought on by sudden reduced blood flow to the heart, including heart attack and chest pain. The New Brunswick, N.J.-based company already markets the pill for several patient groups: Those with irregular heartbeats, those undergoing hip or knee replacement surgery, and those who have developed a blood clot in the legs or lungs. Xarelto’s biggest current approved use is to prevent blood clots and strokes in patients with an irregular heartbeat called atrial fibrillation. The condition occurs mainly in the elderly. 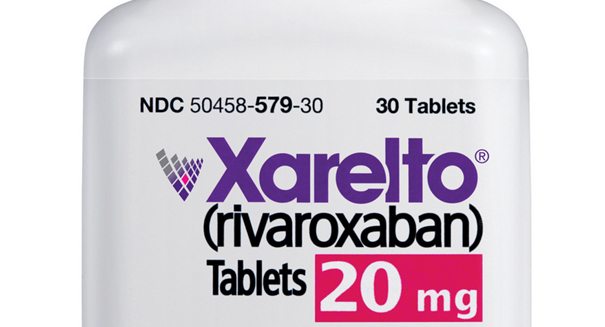 An advisory panel to the FDA concluded in January that Xarelto should not be approved to prevent new heart attacks or strokes, a use referred to as secondary prevention. The medicine is co-marketed by J&J and Bayer. J&J originally filed for approval of Xarelto in ACS in late 2011. The FDA rejected the application, citing missing data. The company retrieved some missing data but the FDA once again declined to approve the drug, prompting J&J to appeal the decision. Johnson & Johnson spokeswoman Kristina Chang on Friday declined to comment when asked if the FDA, in its rejection, had asked for new clinical trials to be conducted for the requested new uses or asked for other information. “We are not disclosing the details because we still are evaluating the contents and our next steps,” Chang said. J&J reported Xarelto sales of $246 million in its last fiscal quarter.